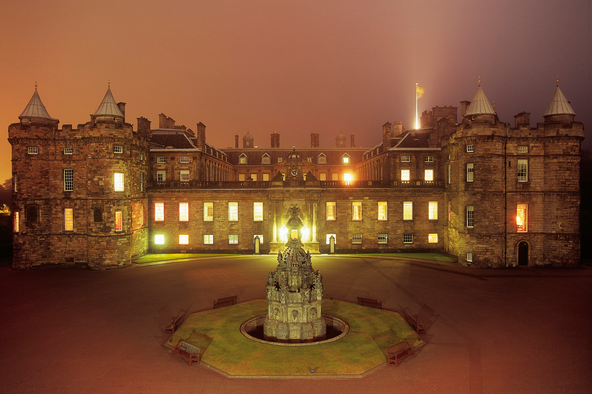 The Palace of Holyroodhouse, Her Majesty's official residence in Scotland, offers a splendid setting for a special visit. Enjoy a private tour of the State Apartments in the company of an expert guide - either before the Palace opens, or once it has closed to visitors for the day. Tours offer a unique opportunity to go 'behind the ropes' in selected rooms and include the West Drawing Room, used by members of the Royal Family as a private sitting room and not normally open to the public. It is among the most beautiful rooms in the Palace and boasts one of the finest 17th-century plasterwork ceilings. Tours include a copy of the official guidebook and a glass of champagne. Next to the Palace, The Queen's Gallery hosts changing exhibitions from the magnificent Royal Collection. Private views, talks and visits outside public hours are available with or without an expert guide. Private Visit: Guided morning or Evening Tour of the Palace - minimum 25 or minimum booking value, maximum 90. Private Visit:Morning Visit or Evening View of the Gallery - minimum 50 or minimum booking value, maximum 80.